You can see confidence walk into a room, stand on a stage, call across a crowded room. Confidence has this way of being noticed and can be seen in work and home situations. Confidence is tall and takes up space. Confidence has a presence. What does Confidence feel like? Confidence feels powerful and in control. Confidence makes decisions. Confidence leads. People feel secure and safe when Confidence is around. Confidence inspires. What results does Confidence get? Confidence results in achieved goals. Why? You have to be brave to step out of your comfort zone and venture off to do the journey to your goal. Whenever there is a scary part on your journey and you are tempted to run back to your comfort zone, Confidence keeps you going. Confidence leads to the success of you leaving your comfort zone and you starting the steps to your goal. Success comes at each milestone on the journey and so in turn success feeds Confidence. Deep inside of us is where Confidence lives. Some people keep Confidence hidden probably because they do not believe that it is really there. In contrast, in others confidence has started off deep inside and it has expanded and grown so that it now lives on the outside too. It is then that you can see and feel and probably hear and smell and touch Confidence. 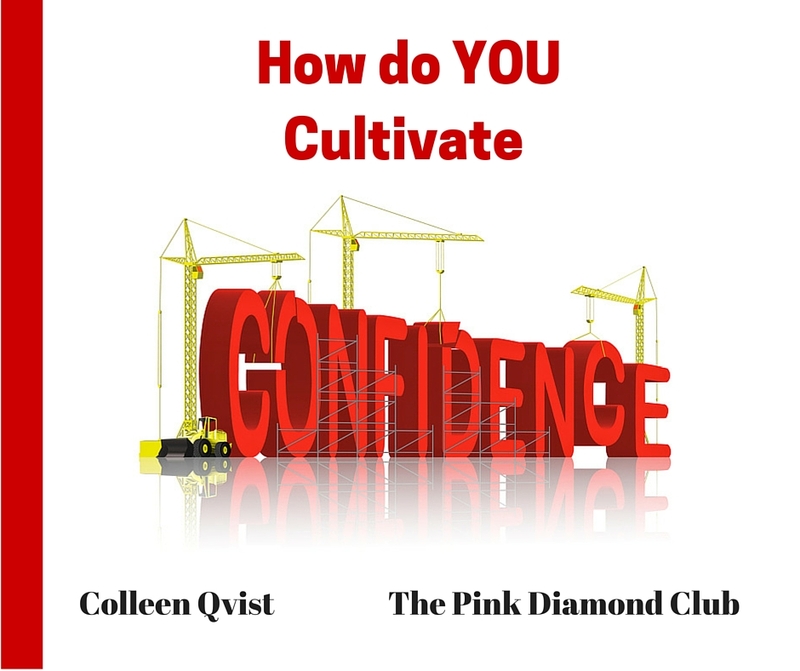 What makes Confidence expand and grow? If you can see and feel and hear and smell and touch confidence you can know for certain that the person has taken the time to nurture and love and coax the small seed inside. With time and practice, confidence has grown and expanded and is visible on the outside. Confidence has become a habit. Oh absolutely. It does take effort and practice. It is easier if you hangout with people who are also growing their confidence. The secret is you do not nurture confidence for a day or two and then get to forget it. Nope. It is like brushing your teeth. Something you do every day. You may be new at this confidence game and feel strange to be with people who you think are way ahead of you, but every day we can learn from and support each other.